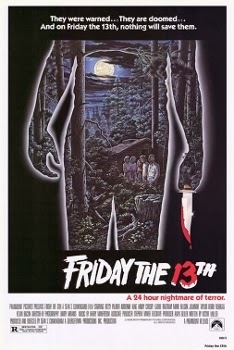 Friday the 13th was released on May 9th, 1980. Filming locations include Blairstown, Hardwick and Hope, NJ. so I didn't even attempt to enter the camp due to the numerous "No Trespassing" signs posted at the entrance. Thanks for the information. Do you know if the gas pump still exists? I'd check in Hope, NJ. Just a hunch. They've been heavily modified, too. Crazy Ralph's 1st ever appearance on film happens in Hope also. Peace, J. Got tons of shots from yesterday's tour (11-13-15). Maybe we could swap a few shots if you need some. As long as you drop a cred line for me. If you love this page, AS I DO, you'll want to see my Fri.13th 1 & 2 location vids on youtube. Visit channel KandJHorrordotcom when you're done here. Peace, J. We are taking the tour this year 10-13-2017 and I can post pics of the camp if they allow it afterwards. Going to be a dream come true and bucket list item!!! EPIC! Took the tour this year 10-13-2017 it was awesome! Most of the counselors were knowledgeable of the movie and the filming locations, those who weren't very familiar gave it a really good effort. It was very nice of them to allow us to come into their camp and walk around. Everyone in the camp was very nice. If you are a true Friday the 13th and/or horror fan this is a must do if you can get tickets seeing that they only do tours on a Friday the 13th. I FINALLY GOT TICKETS TO TOUR THE CAMP THIS APRIL WITH MY WIFE. SOOOOO EXCITED!! Good job!!!! Would have loved to see the cabins too. That’s cool though! The closest address to the shot in the film is 123 Millbrook Rd.